Fall here...do you have seasons where you live? We have four seasons in China. But since I am now working in the southeast part the temperature is normally between 20-40 through the whole year, no snow at all. Whileas the temperature changes apparently as the season changes in my hometown, middle part of China. I'm from the Philippines, we have tropical weather here. Only two seasons are available here, cold/wet and dry/summer season. As of now, we are experiencing rains and La Niña has already came here. Summer starts from march up to June and the rest of the months are either cold or rainy, with temperatures that can be normal compared to places that are hardly affected by global warming. We don't experience wild or bush/forest fires here, so I guess we're still lucky when it comes to that aspect. But the flood is really nasty, as it gets worst every year. BTW the normal temperture here is about 20 to 30 degress celcius. Though we are not that affected of floodings (since we moved many years ago away from the flooded areas we used to live), I thank you for your kindness. The place we live right now is very safe and flood-free, we left the place because we felt that it is not appropriate for us to continue being there. The hazards on our health and the risk, is just not good for us. We left and we feel lucky, because lots of diseases are surfacing due to pollutants which were caused mostly by men..
Well that is good to hear. It is great to hear that you and your family were able to leave all those challenges behind. From many of your posts you sound as though your family is central to the quality of life you enjoy. Thanks for popping back with more information...it is always enjoyable chatting with you and I value your interest and participation in perspectives topics. Did you enjoy the photo of our Fall here...do you have anything like that in the Philippines..or do the trees stay green all year round? hi Raia, how are you doing? long time i had heard from you.. here in the Philippines we only have to seasons..that is the rainy and summer season..right now its rain time and it has been raining since yesterday..i wish to experience the fall and winter as well just to see how it feels like having four season but i guess that is impossible for me to experience that..if only i can go to country who has this kind of seasons like yours then it would be a dream come true for me..
Oh yes - we definatey have seasons here in England. It is one of the things I love best about our weather. I would hate to live somewhere that was just the same all the year round. And you would be surprised just how many ex-pat Brits say the same - when they live abroad for any length of time (say actors going to Hollywood or whatever), nost say the daily sun and heat with very little change is what they hate the most! They even miss the rain!! Of course ours is a very temperate climate, so not the extremes of cold you experience in Canada, and we get rain a lot throughout the year - but there are still 4 definate seasons. Spring is usually March to May and is my favourite. Lots of rain (especially in April), but that's what makes our grass so lush and green, and brings forth all the gorgeous Spring flowers and blossoms I love so much - daffodilas, bluebells, lilac blossoms etc. Temperatures are normally around 10-15 C (sorry I don't "do" fahrenheit at all, but it's somewhere in to 60's I think). Spring weather is quite capricious - short, sharp showers at least once a day, but they clear quickly, and bring beautiful sunny intervals and clear blue skies. Summer is generally from the end of May until the end of August, with temperatures in the 20's, which is round about low to mid 70's I believe. We have a rare day reaching 30C and it nearly kills us all, as us Brits are not attuned to heat and don't have air-conditioning or anything because we just don't need it generally! Loads of rain (especially in late June, early July, which is often very heavy and thundery), - and quite humid in London. Autumn is generally September to November and is often the driest time of the year with very little rain in September and October. Temperatures are back in the 10-18 C again, though they drop sharply at nights and we get night frosts from early October. 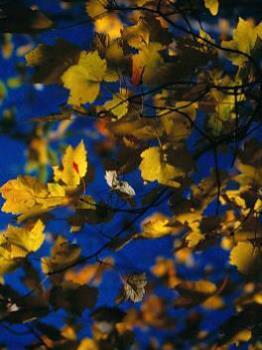 Quite a lot of wind in October too, - but generally a pleasant time of year with the trees all changing colour. Winter is generally December-February, with loads of rain and gales in December, and any snow we do have nornally coming in January/February. February is the coldest month of the year usually. Temperarures vary between 5-10C in December, to 0C and below in January/Febryary. The lowest it drops is about -12C at night. Hope that gives you some insight. Hi Rosie..and thanks for your wonderful description of the seasons, climate and temperature changes in your country. I was curious...what part of England do you live in? My Mom and grandmother were born in Bristol, England. Her father was born in Cardiff, Wales. Her grandmother in Ireland...and all Dad's relatives were Scotts. Your information about the seasons provides a lot of insight and I thank you because my relatives did not share much about their lives in the "Old Country" as they often called it. So after reading the variety of changes over there it sounds as though you feel akin to Canadians about preferring seasonal changes over having them all the same. Yes, it does provide variety...and I like the Fall and Spring a lot too. Your winters still are milder than ours. January and February the temperatures can drop to 30 - 30C...and with high winds that create a wind chill factor that makes it even colder. So we bundle up...get out our down jackets and Sorrel boots and keep on keeping on. Driving can be a little hazardous and we try to avoid the highways as much as possible. We live in a hilly area...and that can make it even more challenging. Other than that we carry on with life and try to make the best of the weather...may as well it is going to do what it does and we all adapt. So it was most enjoyable reading about you seasons...it is fun to share other aspects of our lives and get to know a little more about on-line friends we chat with on a regular basis. Much appreciated! Hi Raia. Well I was actually born in the centre of London, though now we live about 10 miles west of the city itself - on the River Thames near to Richmond. It is real suburban commuter-belt area but I love it...... within 10 minutes on the train you can be in the City for shops and theatre (and work) but we have quite a "village" atmosphere too - typical English probably - all 1930's semis and a pub! More than one pub actually:-)) I know about the Canadian Winters - an old schoolfriend of mine married a Canadian and went to live there for a while, through tragically he was killed in a motorbike accident leaving her with a young daughter, so she returned to the UK to be nearer to her Mum and old friends, as she couldn't cope so well out there alone. Funny thing is - although our weather is nowhere near as severe as yours, we probably have more disruption on the trains and roads when it snows, just because we are not so used to it! Our infrastructure is a lot older and smaller than yours! I like to very cold temperatures though - my Mother was from Minsk and her family from Moscow - where temperatures fall a lot lower than in Canada, - so I think it must be in my blood! OK - I am off to work now - nice to talk to you, and have a nice day! We generally have 3 seasons here in Bangalore City and surrounding area and it is the same in most part of India but on different months. November to February - it is winter, it is not like winter of Alaska or Siberia. it is a mild winter, occasionally a mild sunshine, only a few weeks, it blows cold, otherwise it is very pleasant and manageable. March to Mid june, is the summer, in Bangalore it is not very hot. The maximum climate is 34 degree celsius and minimum during summer is 20 C. For the past 2 years we had a terrific rainy reason, heavy rains from June to September. When there is a tidal waves atChennai, chennai experiences heavy rains and we get drizzzling here. It is really very nice of you having spoken so many good words about me and my country. It is also worthy to be mentioned that due to erratic climatic conditions, particularly rainy reason, many farmers (millions of them) lost their crop due to flooding resultant of heavy rains. Looking at the pictures reminded me of England where I lived for seven years... I miss the four seasons. I always felt that the beginning of a new season is a beginning of a new start at life. I have been back in the Philippines for 11 years now and I consider this country to have 4 seasons also. 1. Sizzling Hot Summer, Stormy Summer, VEry Humid Summer & Cool Summer!!! I live in North Carolina, in the foothills of the Blue Ridge Mountains. While technically there are 4 seasons here, winter is hard to find. In the 7 years I've been living in this state, I've seen snow only a half dozen times. Each winter, we do get one snowfall and one ice storm. Both typically melt by mid-afternoon the next day. I'm about 50 miles NW of Charlotte, so our weather is similar to Charlotte's. When it snows/ices ... the whole region practically shuts down. It's panic attack time LOL. It's the same thing, year after year, on the news .... fear, doom, and gloom. And it's never anything like they say it's going to be. You would think people would learn LOL. Spring and Autumn are nice here. Summer can be hellish with mid to high 90's, occasional 100's. And the humidity can be awfully high also. I'm originally from NW suburbs of Chicago, where we have solid winters. Love the Autumn there best - the changing of the leaves is spectacular. However, the changing of the leaves in the Blue Ridge Mountains is heaven on earth - provided there was a good rain that year. North Carolina has had a good drought this year and I fear the changing of the leaves is going to be less than usual. I've lived in Ireland - was there in the winter of 1997, I believe, and they had their first snowfalls in several years. It melted pretty much by the next day, but everyone has a blast! We have 4 seasons in the great northeastern part of the USA. Some of the leaves have begun to change. There are a couple of trees in town that have turned completely red. I noticed them a couple of weeks ago! Although I love the autumn weather, I cringe at what is next in store for us. Winter has moments of grandeur, but the cold and ice is not my favorite. In October the trees offer a visual treat. We turn ourselves into tourists and drive around the back roads and take in the scenery. It is a glorious time of year. One year we went to New Hampshire and drove to Mount Washington. The view was gorgeous. Living in Georgia we have seasons but they are all so weak compared to what I was used to in Scotland and Germany. Last week we had a touch of fall the night temperature went down to a low (?) 69F and day only (?) 78F. It was wonderful but now they are back up again. Fall in Europe was my favorite season, the glorious colors, smells ( I could always smell Autumn weather) and cooler temperatures. I live in Brazil, so, yesterday stared the spring. I want see snow (i never saw this) because just have snow in fall of south of Brazil. We have four seasons where I am (250km west of Sydney) But only summer and winter are true seasons. March... The first month of Autumn still feel like summer. April feels like Autumn... and by May... you already feel the Winter coming. Spring is even more confusing. This year it actually started two weeks earlier... and then we fell back into winter. It sort of is like that for the first 6 weeks of Spring. You never know what to expect. Here where I am... this last week I had a couple of days with 20 during the day and minus 4 during the night. I find those huge variations of temperature hard to take. September is the first month of Spring. You might get 5 days with 30 degrees and then don't see 30 degrees again until December. But that is inland. People who live on the coast, like Sydney... have some mild weather which is a lot more constant. Most of Sydney never experience temperatures below zero. We have definite seasons... the leaves are turning now, which is my favorite time of year. We are about 80 miles from the border with British Columbia... we take our yearly vacation to Victoria in the fall because its such a beautiful drive and ferry ride! In winter, we usually have two serious snowfalls of 18 to 36 inches... luckily it only stays a week or two. Spring is WET, but we work through that... wet is a way of life here! I'm not fond of summer because temperatures over about 75 degrees make me very uncomfortable. And the lawn turns brown for a month no matter what we do! We've traveled a lot, and there is nowhere I would rather be! We have a few family members who are victims of SAD, but the right lighting can work wonders! For myself, I actually like cloudy, dark, wet days! I feel very cozy and safe on days like that, I can make soup and bread, I can work on my crafts without thinking I should be doing something outside. I just think of those days as their own separate seasons, because they happen in Fall and in the Spring. I happen to feel very well in cool, damp weather... I don't have any arthritis, but I do have adhesions from many surgeries. The heat makes me swell and hurt, so I almost feel like a different person after September. As for the fung shui... I've nearly finished my workroom and the dining room. I noticed when I had the 'Brats' here this weekend that everyone was different, more open and loving, lots of sharing and crying and getting things off our minds... it was so good for all of us! I don't know if it was the atmosphere, or just the realization that we are all in a new place emotionally, but it was a wonderful day! we have the seasons but not as good as you our trees just turn yellow and fall and I have 2 trees in the front yard keep Jimmy busy for a couple of months this week has been cool in high 60s at night in the high 80s in the day time THink a little cooler that usual tho then around Dec thru fes we can get snow rain and down to 32 degrees on some days. Then spring starts in Feb then of course summer with !20 degrees for months. If it snows it has melted by 10 or 11. Start planting things in feb and march we have a long growing period if the heat done get the flowers. We get 3 t0 4 month a year where we can leave doors open all day and night! yes less snow for sure! I have lived in states that get alot and I used to love to drive in it but when you drive across country in the winter time and hit all kinds of weather ya back off the driving in it if ya can . Now I love to watch it snow and watch the flackes come down swirlling of softly can put ya to sleep . I love it when I can plant tomatoes in he last of Feb the only thing I would like is to get some tomaotes off these nice healthy looking vines lol I am moving to palnt them in a different place next year. for we all love fried green tomatoes. they will get filtered sun and hope the heat done get to them to fast next year. lol hugs and blessings and thanks for a;ll your support! Your descriptions about the snow are lovely. Yes, there is a calming feel to it when it drifts down in big flakes. Sorry your tomato plants let you down this year. I hope you find a better batch next year so you can enjoy your fried green tomatoes. Mom used to fry the red ones and add a little sprinkle of Parmesan cheese...yummy! Maybe we should try the green ones sometime...they sound good too. My support for you comes easy my friend...it is because I really care about you and am trusting that all will be well for you soon. Hugs and big bright blessings coming your way! We have spring, summer, fall and winter here, but they don't always start at the same time. We are into the end of september, and fall (autumn) is supposed to start, but it still feels like summer, with temperatures as high as 31 degrees celcius in the daytime. I live in the beautiful and mild southeastern USA. We have 4 distinct seasons, and the summers are hot! I live right on the coast, so we don't get as hot as the upstate or inland, but you can literally fry an egg on the sidewalk in August! My sister and I did fry an egg on our driveway once, seriously. We have a lot of bugs here in the spring and summer months, and a blazing hot sun, and lots of birds and flowers. With all the water around us, the sky gets very hazy and humid, and sometimes you can barely make out the city that is visible across the marsh, just a mile away. Oh, and the mosquitoes! Those suckers will eat you alive. Fall and Winter here get too cold for me, even though it hardly ever gets below freezing, and we rarely get snow. 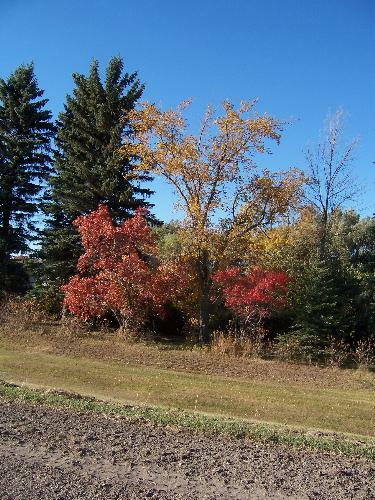 The bad part about such mild weather is we don't get the dazzling leaf colors that you folks get in the northern areas. 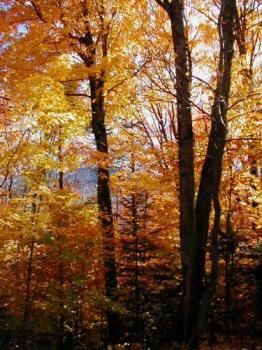 I love Autumn leaves, and I'm content with the few hues we get here, but it would be awesome to see forests of dozens of colors. Many of our trees don't even lose thier leaves in the fall! I'm in Ontario and our Fall seems to be in full force. It is still getting up into the 20s but the trees are turning some beautiful colours. The view from my apartment is wonderful, especially when the sun shines highlighting all the different coloured trees. Good discussion... I live in Sydney Australia and the temperatures here depends on where you live in Australia. Northern Australia is quite tropical whilst southern Australia is seasonal. Sydney has a great climate, it has seasons but not too extreme. As I come from the UK originally I find the climate here in Australia to be great, no dismal weather and grey sky's like in the UK in the winter months.